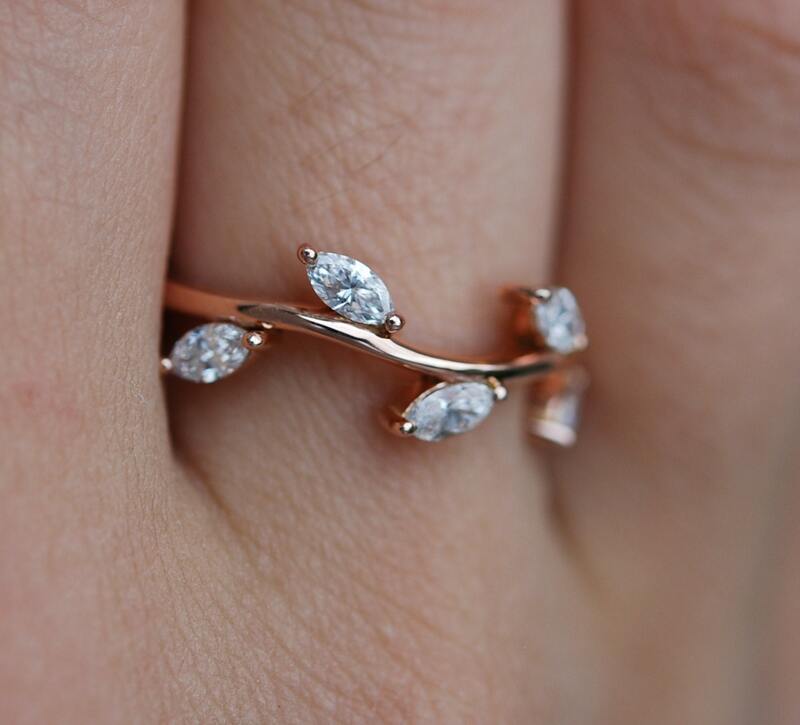 Rose Gold Wedding Band Diamond Leaves 14k rose gold. This band is really pretty. 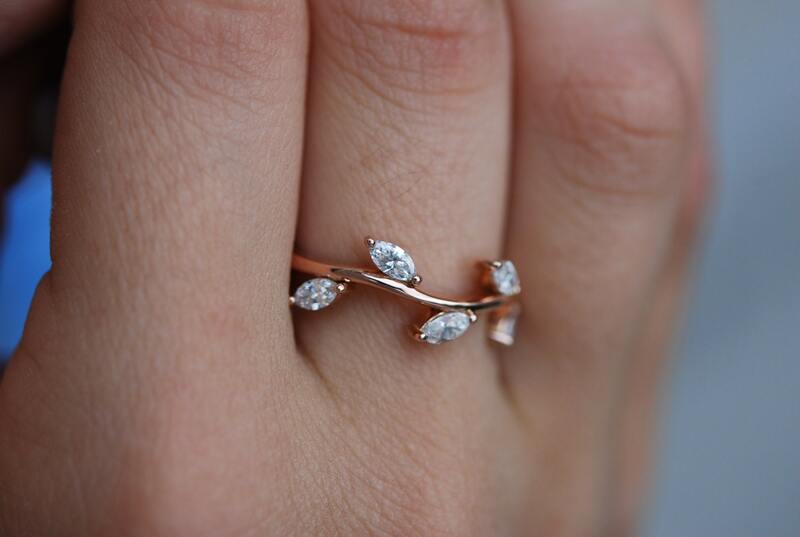 Made of 14k Rose gold with 5 marquise cut diamond leaves. Please note, the price listed here is for ONE band. It has to be made by order in your size. You can choose 14k rose, yellow or white gold. Please allow approx. 3-4 weeks to complete your order. 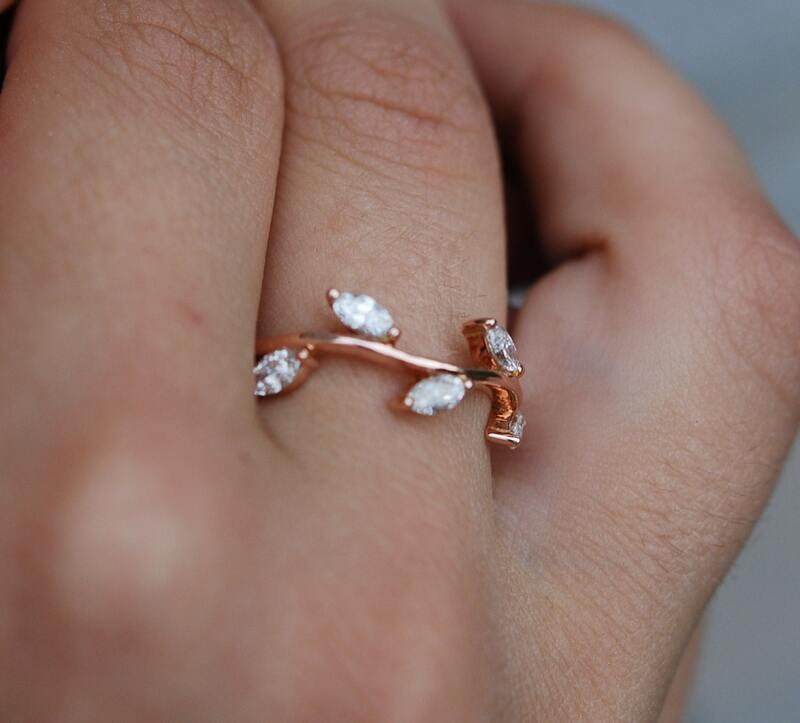 I’ve gotten my wedding ring, wedding band and now this ring from Eidle. She does not disappoint! I constantly get compliments her work is amazing!